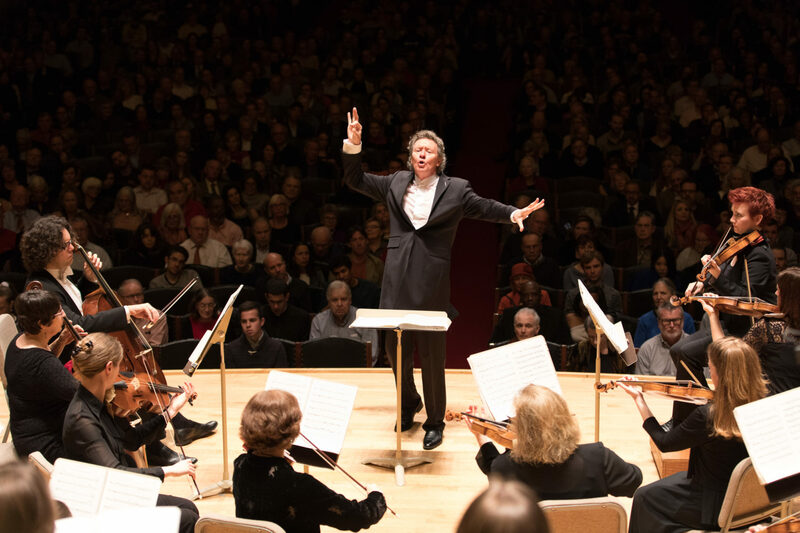 The Handel and Haydn Society’s artistic director, Harry Christophers, is slated to step down following the end of the 2020-2021 season. He'll be completing a 12-year tenure, one of the longest in the organization’s history. Christophers said he feels privileged to work with the organization's talented and passionate musicians and vocalists who are part of the 204-year-old Baroque and classical music ensemble. According to a statement from the Handel and Haydn Society, an international search is already underway to find Christophers’ successor. Under Christophers’ direction, the Handel and Haydn Society recorded 12 albums, the most of any of the organization's musical directors. For Christophers, who resides mainly in England, one of the most rewarding experiences of leading the Handel and Haydn Society was seeing the audience members’ faces at the end of a concert. The 2019-2020 season begins in October at Boston’s Symphony Hall with “A Mozart Celebration.” Mozart's "Jupiter Symphony" (his longest and last) and Vivaldi's "Four Seasons" are also on the schedule. To see the full programming schedule, visit the Handel and Haydn Society’s website here.